Locksmithing is a reliable, traditional sort of work that will always be in demand. Life as a commercial locksmith can be enjoyable, challenging and rewarding. Triple-A Brisbane Locksmith stressed; becoming a locksmith of any sort is fairly easy because many educational opportunities exist. You could follow the old-fashioned route and simply be an apprentice, or you could take a course at a local technical college or junior college. There are even learning opportunities online and by correspondence. Take your time selecting an effective commercial locksmith course of study. In addition to teaching locksmithing skills, a comprehensive course should also teach you how to establish and maintain your business. This is especially important if you want to be an independent locksmith. Additionally, the best courses provide a basic set of high-quality tools so that you can get started on your new career as soon as you finish your studies. How is locksmithing commercially different from residential locksmithing? Within the career designation of a locksmith, there are a number of specialties. A commercial locksmith focuses on working with businesses of all sizes. A residential locksmith works primarily with homeowners on their security concerns. Some locksmiths focus on automotive lockouts, lock changes and security measures. When you focus on the commercial aspect of locksmithing, you may work with small businesses, large corporations, real estate concerns and more. This may be a bit more lucrative than some of the other specialties. Will I have enough work if I specialize? Regardless of what area of locksmithing you choose, you will always have plenty of work. 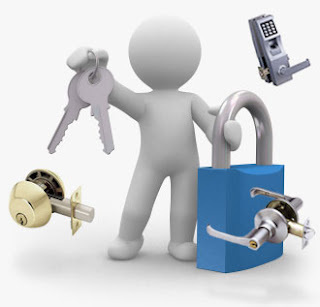 People always need locksmith services. Businesses need security systems designed and installed, apartment buildings need locks changed, safes need to be installed and so on. There is always something for a locksmith to do. Does it cost a lot to establish a locksmith business? Not really! If you select a good school that sets you up with a high-quality set of tools, you can start your business out of the trunk of your car if need be. Just get some cards and flyers printed up, set up a website (which can be free) and have at it. Of course, you’ll need to check with your local authorities about licensing, and you’ll need to be sure to have proper liability insurance. Still, this is a very inexpensive way to get started and begin saving money to open your own shop.